The Lower East Side Restoration Project's historic collection of beautiful Antique Russian Imperial Samovars are 100 - 250 years old. 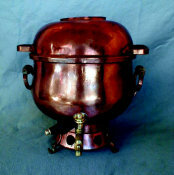 Each Samovar is hand made and no two are alike. At the height of Samovar production in the late 1800s and early 1900s, "factories" in Russia turned out only a few Samovars per day. 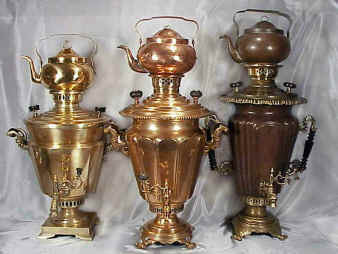 Samovars are made of many different types of metals - including iron, copper, brass and bronze. The design elements and embellishments were limited only by the resources, imagination and artistry of the maker. Repairs & Restorations: CLICK SEND US PHOTOS on the blue column at the left to send photos of your samovar for an estimate for repair/restoration. 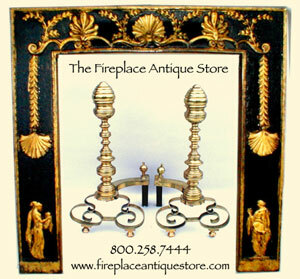 To see larger pictures or get more information, click the photos.